The seal is stretched onto the shaft and rotates with the shaft and seals axially against the bearing side wall, housing, washer or even the heel of the pressure seal. The flexible sealing lip applies an axial force that reduces as the shaft RPM increases, leading to low friction and heat. 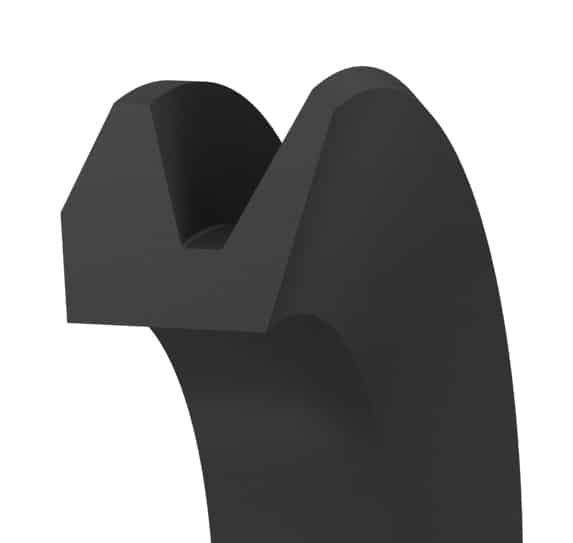 Low contact force allows the seal to accommodate coaxial misalignment or runout. It has a wider and tapered body that provides greater clamping force for the v-ring, allowing use in heavily contaminated environments. Small quantities are available in 1 to 3 days.